Start Collecting Thousand Sons Heretic Astartes Now, Get 20% Off RRP and Free UK shipping over £75! 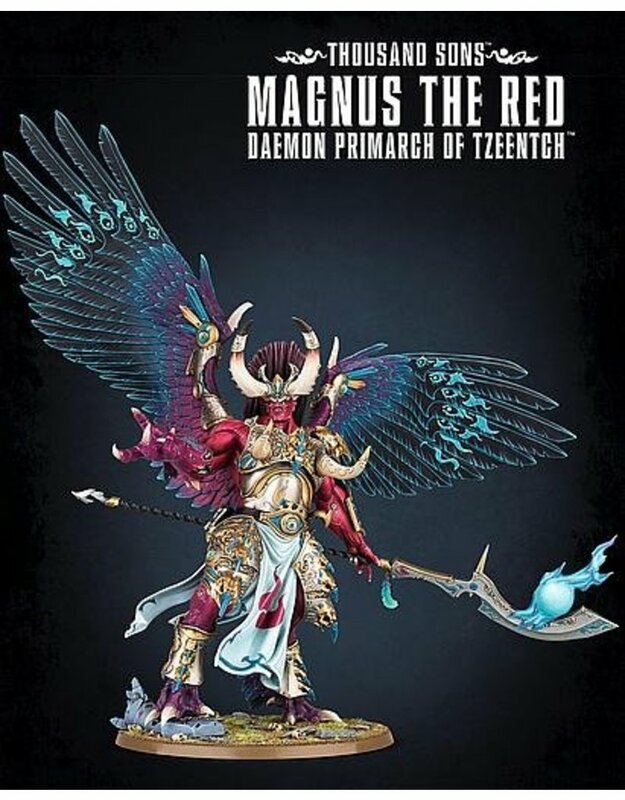 Second only to the Emperor in terms of psychic ability, Magnus the Red rends asunder reality with a sweep of his blade, annihilating even super-heavy vehicles with the sheer intensity of his ire. The first Space Marine Primarch to be made in plastic! Supplied with a Citadel 100mm Round base, and a crushed Space Wolves Dreadnought for a base detail!